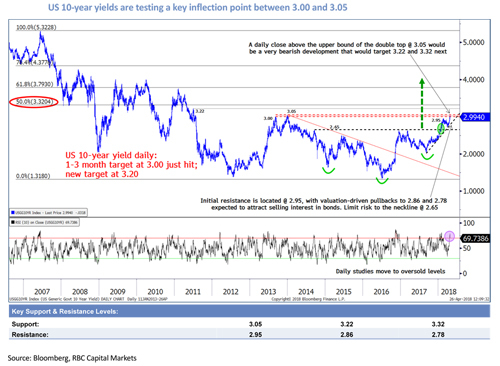 The US 10-year yield is testing key resistance between 3.00 and 3.05, according to George Davis, Chief FIC Technical Analyst at RBC Capital Markets. 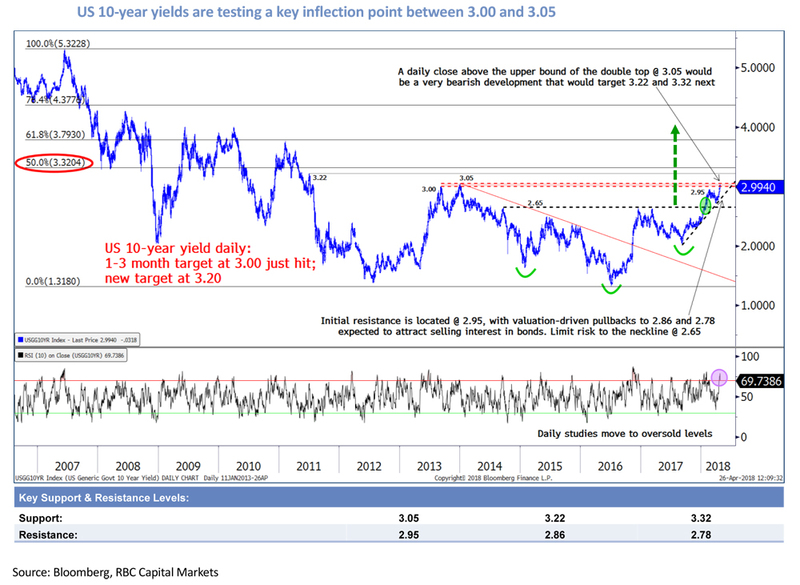 After hitting his prior target of 3.00, Davis has raised his one to three-month target for the US 10-year yield to 3.20. This is based on his expectation that it will be able to close above the upper level of a double top at 3.05, whereafter it would likely target 3.22 and then 3.32 (see Chart). Davis says support can be found at 2.86 and 2.78, though he thinks these levels would attract selling interest in bonds and a corresponding rise back up in yields. A close below 2.65 – the neckline of an inverse head-and-shoulders pattern – would lead Davis to alter his view.